This story starts on November 14th, the day the Internet was taken by storm by McDonald’s new invention, the Nutella Burger. This dream of a “burger” was released exclusively in Italy, but I didn’t care about that. With low-cost airlines and affordable hotels pretty much everywhere, I got to board a plane a week later, just so that I could taste and review this killer creation. It all started with an article that I shared on Facebook about the release of the burger, more as a joke. Not too many Likes, I know, nobody believed me. But then I questioned myself hey, what if I just do this? Two plane rides, two busses and a taxi later, I was off to Milan and back, after having what everybody that lives outside of Italy wants to have for dessert. My trip began with an international flight at 6 in the morning, leaving Timisoara, Romania. I almost missed my flight, because I set my alarm wrong. Luckily, I was done with security and at the gate with exactly 4 minutes to spare. The flight went well. We landed at Bergamo’s Orio al Serio International Airport at 6:40 AM local time, after one hour and 30 minutes of actual flying. I got to check-in to my hotel some nine hours later, because I decided to see the city first. 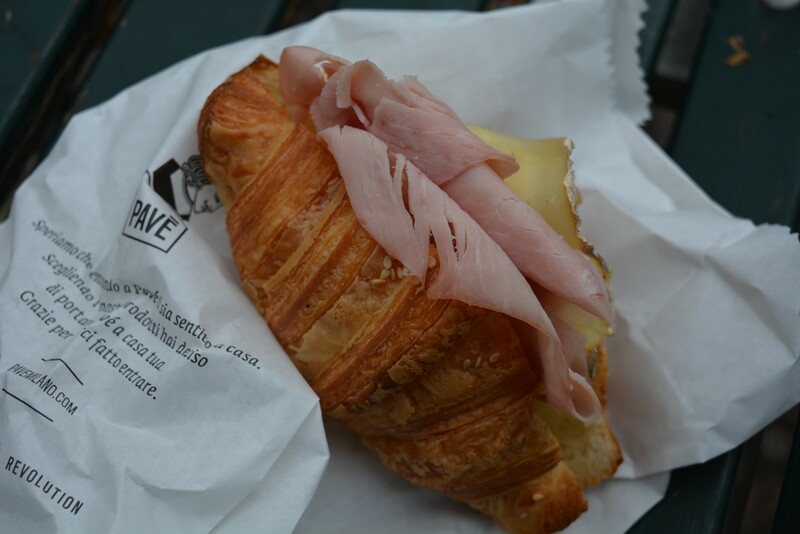 Breakfast at Pave was delicious. That cappuccino… I’ll never be able to have another one as good! After a delicious breakfast at a local eatery, consisting of pastries and a much needed cappuccino, and after a much needed walk to try and get rid of my sleepy mood, I finally was able to do it. 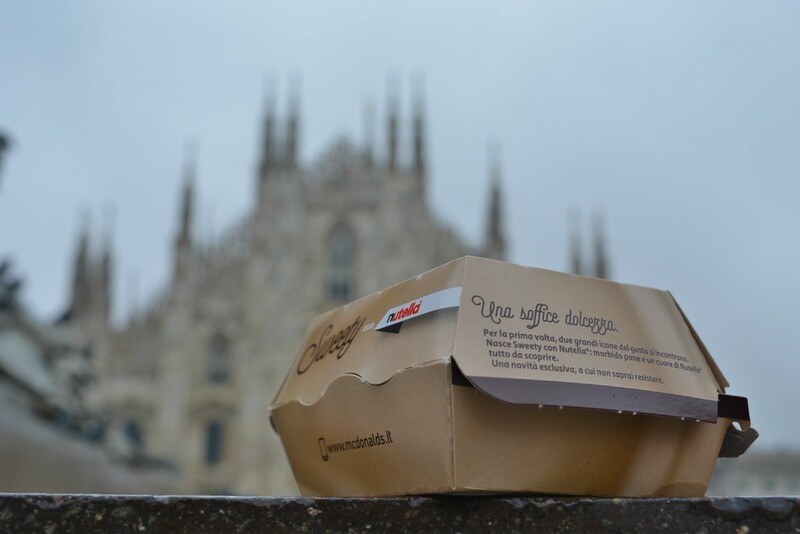 The McDonald’s I choose to have my Nutella Burger at is located in the vicinity of the Duomo of Milan, the landmark of the Italian city. It was a full house, so I paid for my chocolate burger, an order of medium fries (I’m on a pre-Christmas diet) and headed in the piazza outside to enjoy it. 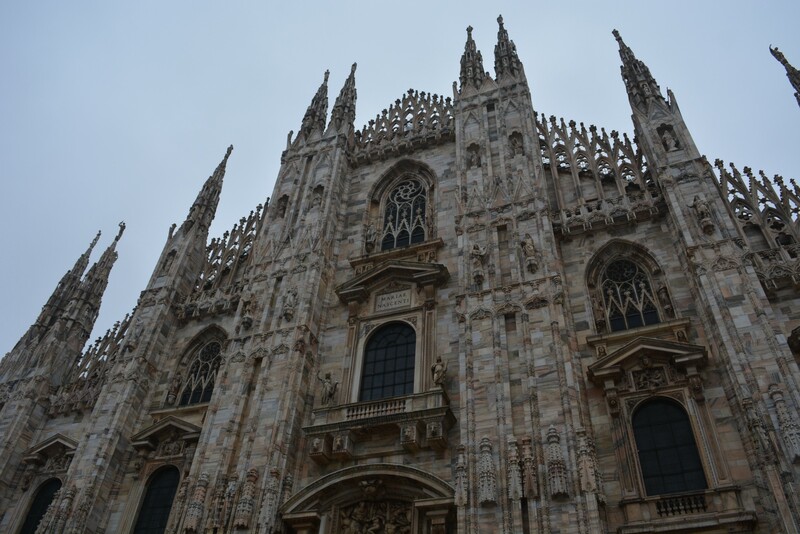 By the way, Milan is impressive! 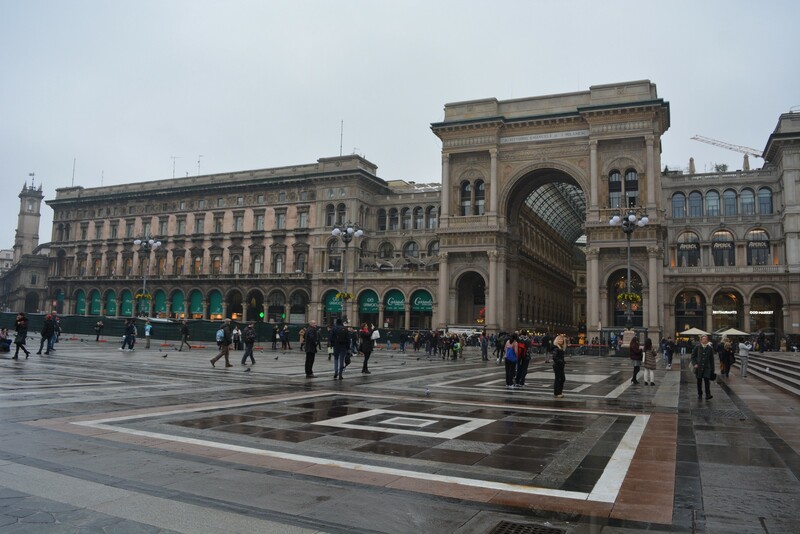 Milan is just beautiful! Buckle up for half a dozen articles just about it, coming your way soon. 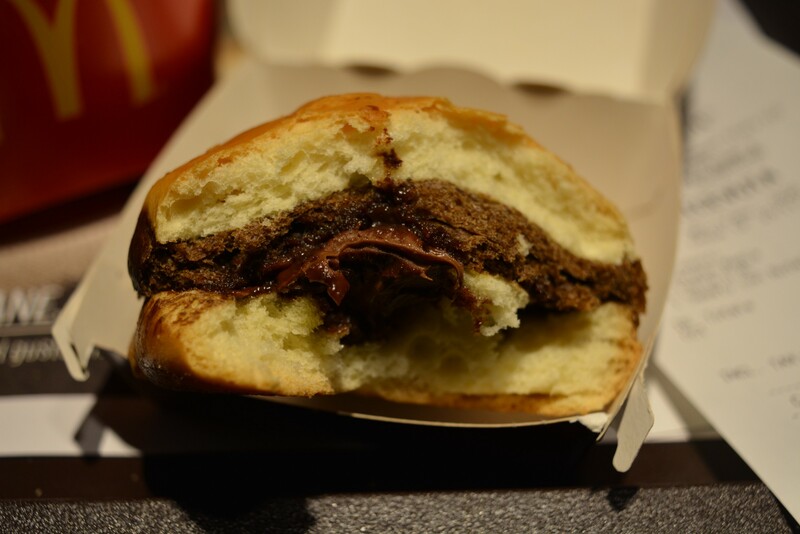 So here it is: McDonald’s “Nutella Burger”! Taste wise, it was on point actually. 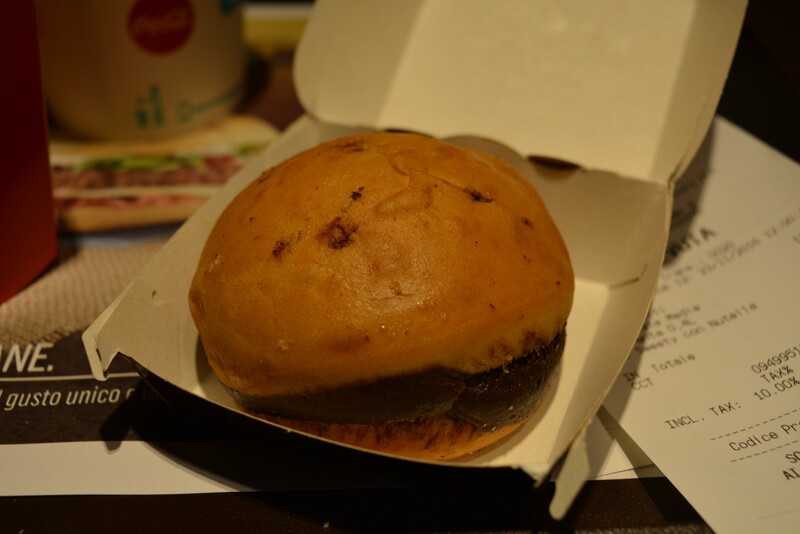 I really was okay with it, and the folks at McDonald’s went all in and even painted the bun in the middle, just to give the impression that you are in fact eating a burger. For the price, 2 Euros, about 2,2 USD, it was a really good value for money and definitely a great dessert amongst the sweets menu. The Nutella Burger almost blew me away, it was a more than impressive experience. This whole trip was not just about a burger with chocolate, as some of you might believe. It was about the experience, the travel part of it that I love so much, the beautiful city of Milan, its churches, castle and art masterpieces, the Italian people, and the unique way of fulfilling a chocolatey crave, no matter how many thousands miles away. That’s my food and gas money for two weeks in Romania. Totally worth it! Bellow, you can watch my Milan Travel vlog, where I explore the whole city and show you the Nutella Burger in some beautiful 1080p! Please Subscribe to my YouTube channel for more travel videos! This is just a taste of Milan. I’ll publish more articles about my trip, including an extensive travel guide, in the following two weeks, right here on Medium! Subscribe for more travel and food stories from around the world! Subscribe for more travel stories from around the world. You can follow me on my Instagram and also subscribe to my Youtube channel for more travel vlogs. Let’s talk! Leave a comment, a suggestion, a question, anything. Just socialise, don’t be a social pariah.